It looks very pale, but as it opens up the colour deepens a bit to a lemony yellow. Very similar to a rose. Yes, this is a lovely one Julia. Taking a long time to get established. All of my yellow ones are very slow to bulk up. This one has only two flower buds. Same as last year, and others that were bought as plugs seem to have got smaller instead of bigger! I might have to buy some bigger plants I think. Very beautiful, is used in homeopathy. Interesting Aleyna. Tell us more if you can! Really love this one especially the pink edging. The effect of Helleborus niger is primarily due to its inhibition of pro-inflammatory cytokines, making it suitable for treating late-stage cancer. In advanced stages, signs of inflammation are almost always present. Integrative cancer therapy with Helleborus niger also helps patients become more emotionally stable and centered. It has proven particularly beneficial for tumor patients experiencing agitation and anxiety, as well as patients with brain tumors or brain edema who are suffering from headaches and impaired consciousness. In case of brain tumor radiation therapy, it can help to stay focused and clear-headed. In Germany, Helleborus niger has been registered as a homeopathic medicinal product of Anthroposophic Medicine. Here in Brazil, the tincture of helleborus has wide homeopathic use in psychosomatic alterations. It also has anti-inflammatory properties and is used to help in Rheumatoid Arthritis by combining its psychotherapeutic properties with its anti-inflammatory effect. 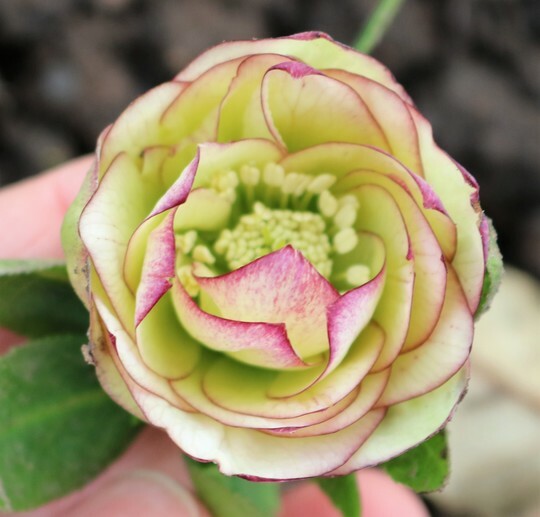 This photo is of species Helleborus x orientalis.